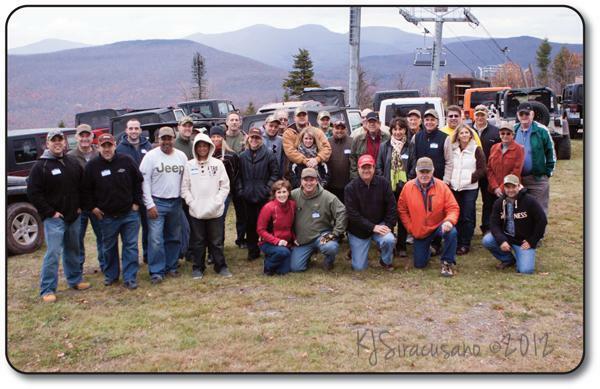 This past October, nineteen of our Jeep Wrangler customers attended our 2nd Annual Jeep Summit at Hunter Mountain. For some of our customers, this was their first attempt at any kind of off road adventure. For others, they knew what they were in for, having been "Jeep Club" members and been on a Jeep Jamboree before. 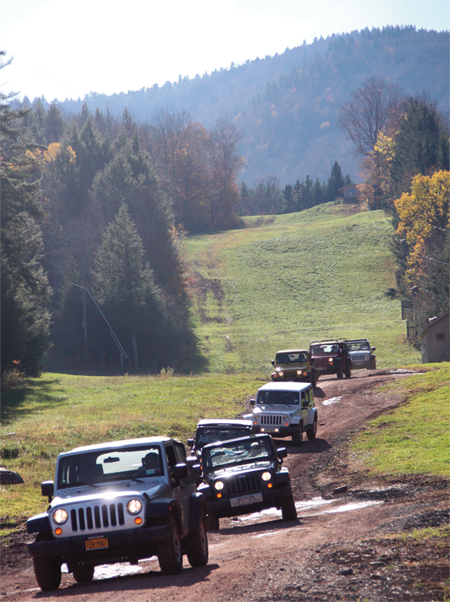 After line-up at Sawyer Motors, the Jeeps went caravan style up Platt Clove to get to Hunter Mountain. At the base of the mountain, there was an obstacle course set up with rock boulders and logs. It served as a "Proving Ground" that highlighted the Wrangler's touch features - independent suspension, ground clearance, 4-Wheel Drive, power, and torque. All Jeeps took trails and service roads up to the summit of the mountain where there was a chef-prepared cookout done in "Jeep Style." Check out our awesome photos! "From the first minute to the last, everything was perfect. We will talk about this event and remember it for the rest of our lives." "I heard people say they didn't know how to shift into 4-Wheel Low, now they found more fun from their Wrangler and you can bet they are telling great stories today and for time to come." "I knew that I was in for a fun day once we headed up Platt Clove to get to Hunter Mountain. I haven't been up that way since I was a kid. The entire day was phenomenal; the trails, the food, and good company. Count me in for next year!"